Green Kid Crafts is the perfect solution for all parents who don’t have the time to collect materials and ideas for eco crafts. 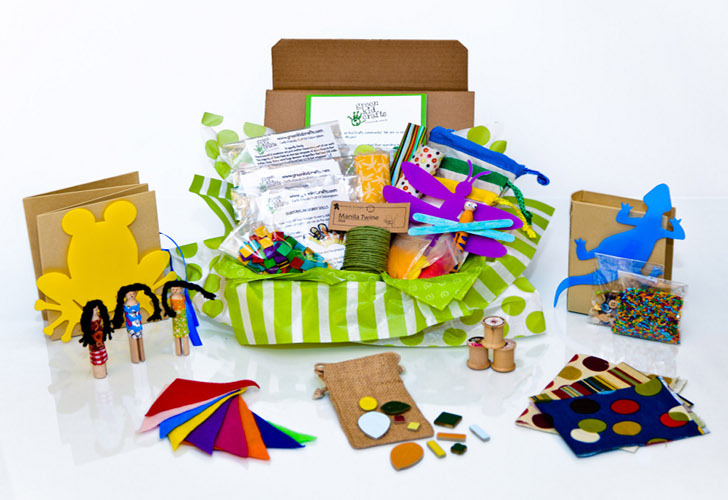 Designed for children ages 3-8 years old, Green Kid Crafts is a monthly subscription service that delivers at least three different eco-craft projects once a month. Each kit comes with all of the materials needed to make the craft except scissors, glue and markers or paint. All of the included materials are eco-friendly, sustainable and most are donated through local businesses. Their packaging and labels come from Green Earth Office Supply. Green Kid Crafts was started by stay at home mom of 2, Penny Bauder, who was previously a wilderness ranger, scientist, and environmental planner in Chugach State Park in Alaska. Penny came up with the idea after searching for a similar product for her child without any luck. 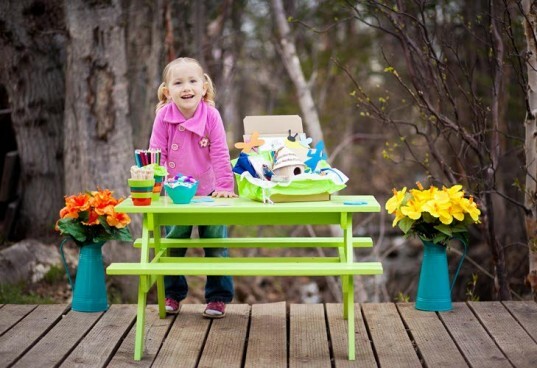 Penny put her two passions together – kids and the environment – and started the company in 2010. Green Craft Kids was named the 2012 StartupNation Leading Moms in Business Competition. My daughter won a Green Kid Crafts kit and had a blast making an eco mermaid. The kit included 4 popsicle sticks, felt, sea shells, yarn and some sparkly stuff that we didn’t end up using. Even after completing the craft, my daughter has had a blast playing with her mermaid and making different backgrounds for her to play on. I love that the materials can be recycled and are all non-toxic and safe for the environment. These would make a great gift, party favors and are great ways to entertain your child on a rainy day. Use the code FRIEND to get $10 off your first craft box. Green Kid Crafts is the perfect solution for all parents who don't have the time to collect materials and ideas for eco crafts. Designed for children ages 3-8 years old, Green Kid Crafts is a monthly subscription service that delivers at least three different eco-craft projects once a month. Each kit comes with all of the materials needed to make the craft except scissors, glue and markers or paint. All of the included materials are eco-friendly, sustainable and most are donated through local businesses. Their packaging and labels come from Green Earth Office Supply.